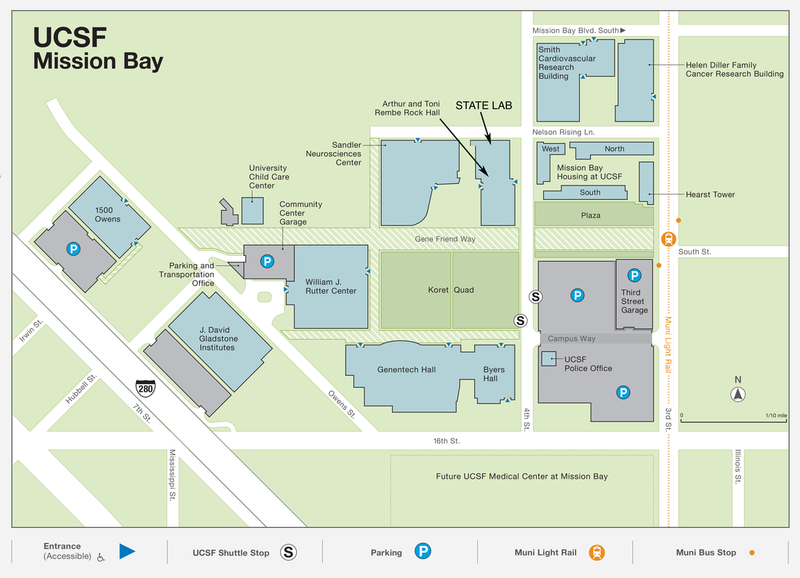 Both the 55-16th Street Bus and the KT Line Train stop at UCSF Mission Bay. Several UCSF shuttle lines stop on 4th Street outside Rock Hall. Shuttles arrive across the street from Rock Hall (east) and leave on the same side of the street as Rock Hall (west), see map below.